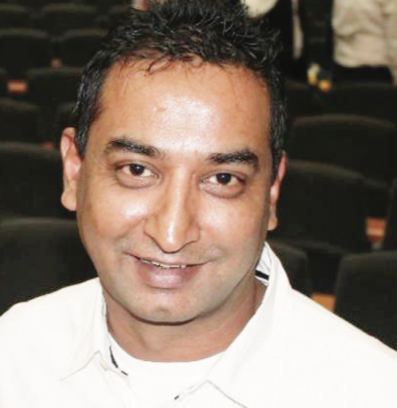 Durban activist and community driven Imitiaz Syed (IS) is the chair of many Community Policing Forums such as Ethekwini Cluster CPF, Mayville SAPS CPF and also the member of the Civilian Oversight Committee. Syed spoke to Tabloid Newspapers (TN) about his day and life working with the community. You are a man who loves his community and submerges himself in the greater good of the community that you serve. Where did the passion start and what inspired it? In 2014, the area in which we reside had 14 house burglaries in 14 days. This is when I called my first community meeting and decided to get a few neighbours together to engage in neighbourhood watch activities. It is through this my initial engagements with Colonel Luthuli at the Mayville police station in a manner that questioned service delivery and the lack of same at the time. This sort of behaviour has always been a part of my life, how we were brought up in a community where the youth of my time stood up against any injustice and protected the community against criminals as well as taking care of the elderly and each other by whatever means we had. So, the word activist does no really come to mind when I think of myself as this is naturally who I am. TN: You represent several organisations at various levels. Tell us a little more about this. IS: Mayville SAPS Community Police Forum chairperson, eThekwini Central Cluster CPF chair, KZN Provincial CPF exco member, member of the Civilian Oversight Committee for the eThekwini Municipality, and member of the eThekwini Central Community Safety Forum. I am also the founding member of eThekwini, Midlands, Chatsworth, Phoenix, South and North Coast secure platforms as well as eThekwini Outreach; Abantu Abahlangane Against Crime; Inhlanzakile Africa; Africa Women’s Federation and Africa Secure. TN: There surely has to be many challenges that you face almost daily. How difficult or easy is it dealing with a varied community, made up of people from different backgrounds? IS: We have over a period of time, and with guidance, learnt that our responsibility as leaders is to lead people in a direction that they become leaders in battles that may affect them. We have had many joyous moments where we have solved issues of the community by either just listening and asking the right questions or by bringing all parties concerned into meetings to resolve issues so they may find one another and compromise. In all, we have hardly had any battles except with drugs and the youth which is an everyday challenge that we face. We are currently looking at programmes that empower the parents to deal with children that are unruly as well as intervention that might be required especially when parents are being abused. One of our biggest challenges is apathy, especially in the affluent areas. The only time the CPF is called in when these areas have issues and the communities expects the forums to assist as a matter of urgency. Keeping our areas free of crime is not a part time job. The other major issue is funding. As much as we might have all the ideas to bring change, the business sector is not supportive nor do they engage in assisting CPFs or neighbourhood watches in fulfilling our mandates. TN: Tell us a little bit more about your work in the Community Police Forum. What have been some of the highlights? IS: We formed the Palm Ridge Residents’ Association in 2014. Then, in the next year I moved on to become the CPF chairperson of Mayville SAPS. We formed six sub-forums to cover the entire station precinct forming executive committees in each area for ease of management and effective policing as well as crime prevention best practise sharing. In 2017, I was elected eThekwini Central Cluster CPF chair and in 2018, I was elected executive committee member of the KZN Provincial CPF. TN: Being the chairperson of the eThekwini Cluster CPF is definitely a challenging position. How does it feel being a decision-maker to meet, and sit, with the uppermost leadership of the South African Police Service? IS: I think that sitting with the top brass discussing issues that affect the community has become second nature and is not something that I take lightly as I have been entrusted with a duty that needs to be carried out. TN: On the point of CPF’s, how effective are they, or does a rift remain between the police and civilian components? IS: CPF bodies across the country are as effective as their leadership and the relationship. We must remember that a as CPF we are partners to police and it all depends on us as to how we manage the partnership. TN: Has the community become complacent, waiting for someone else to do the job for them? IS: We have had a struggle with complacency. To this day we still find this a problem. However, we are quite clear in saying that we are not here to solve the community’s problems. We are just mere tools for them to solve their own issues. We only give guidance and the wider network is thus made available . TN: Has the spirit of activism, or active citizenry died with the people? IS: Activism since 1994 in some communities, has died. However, we have found many activists coming to the forefront over the last year. We have sometimes found and checked intention and when the intentions were clearly for the benefit of the community over the self, we have assisted those individuals or bodies to grow and move forward. TN: You have a unique way of passing on responsibility to your team. You prefer to empower them with a task as opposed to telling them what to do as a chairperson. Hence, you are enabling them. How well has this worked? IS: I have always had a strategy of creating leaders instead of followers. This question seems to be coming from the inner core of my leadership as only they would know this about me and some of the principles that I hold on to very dearly. This has created many leaders and it has become my duty to find the best person for the job, irrespective of who has brought the issue. Someone well-versed in a particular topic would be handpicked by myself to deal with a particular issue. I have over time not really done anything on my own directly except for finding the right person for the job and allowing them, with support, to run ahead and lead. This has boosted moral and created great debate amongst ordinary people who have started learning from and motivating each other. It is sort of like the first time when you went to the local pool and because of peer pressure you jumped into the deep end. I would sometimes take a member into a radio station and put them on air without them even knowing it, and they would do an excellent job. TN: The role of women and youth. Are you winning with this in getting them involved? youth and providing platforms and collaborations for effective education including cleanliness and nutrition come under the spotlight. TN: What do you do in your free time, apart from your community work? How do you juggle your time from being a businessman, community activist and family man? IS: It is extremely difficult as much as you prioritise. The community work takes up most of my time and sometimes I find myself and my bank balance lacking at the end of the month. We all wish that we could be financially sustainable so we might continue passionately in serving the community. TN: The best place that you have visited locally and internationally? a trip in 2010 to India backpacking alone with a driver and car, staying at the best hotels for eight weeks. I did not spend too much of time in the major cities, but rather in the summer hills like Manali and Shimla going all the way up to the pass to the Himalayas and then to Kashmir to stay on a house boat that was for me a moment of direction change and mind altering. When I got back to South Africa, I had a renewed and revived outlook on what life meant — a path that I continue to tread to this day. TN: Have you ever called any of your members at 3am to play a prank on them? For instance asking them if they prefer Tennis or Marie biscuits at the next meeting? IS: Again, an internal question. my top ranked leaders at odd hours of the night, especially after I had been called out to some situation, just to ask them if they knew of a good recipe for a curry or that I was sitting up wondering what their favourite biscuit was.